This simple spring outfit from Banana Republic is one of my favorites as a mom of two. Simple, practical, and totally adorable. I love the detail of this mint blouse, and the fray hem of this denim. You guys, these jeans are heavenly comfy (even for a pregnant mama). 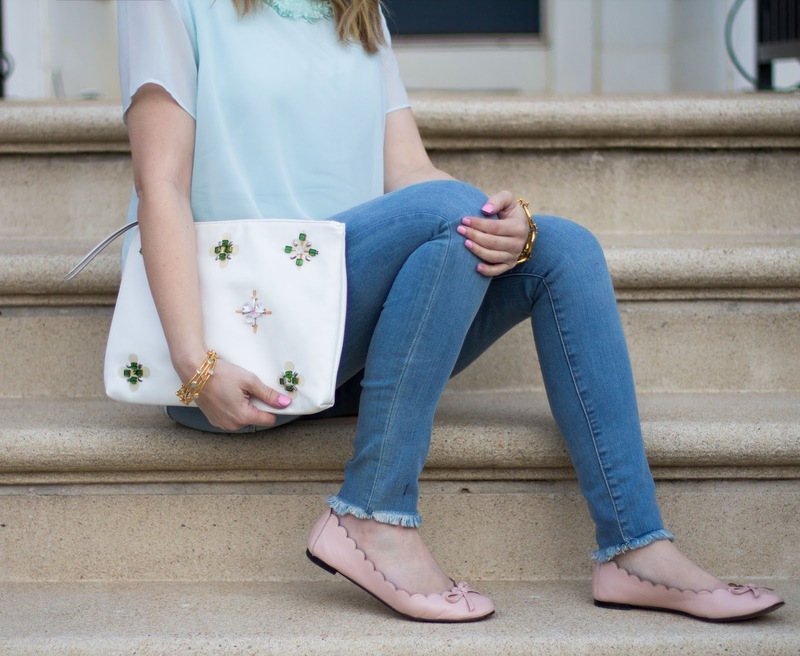 I snagged this embellished clutch to tie this look together, and finished with my favorite blush pink scalloped flats (also worn here). This time of year I love pulling out my favorite soft pastel tones, and this look is just that. Easter Clothes for the whole Family!